Finding outdoor plants near Newcastle upon Tyne has become very convenient for garden owners since Cowell’s Garden Centre has opened shop. 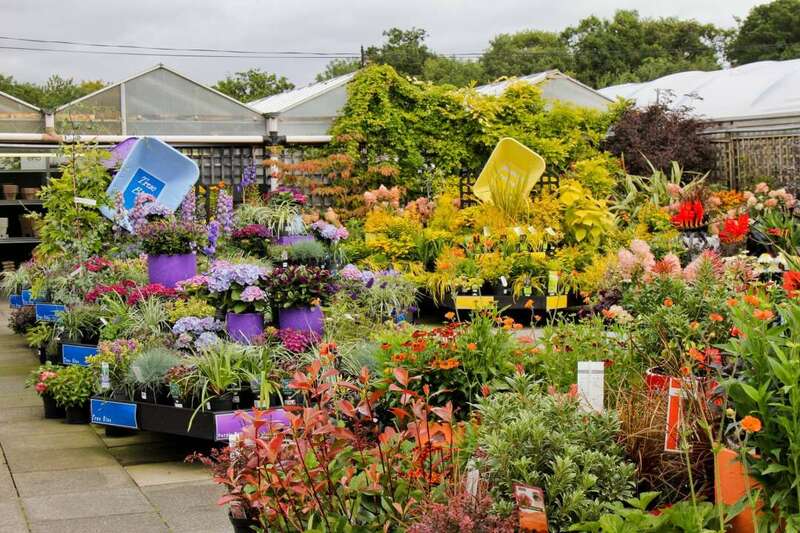 With our endless displays of a huge variety of garden plants, the nursery has become the go-to place for home gardeners as well as professionals for getting fresh plants. Garden plants make for the biggest collection in our nursery. With so many families of plants, each filled with a number of variations, the displays we offer are huge and take some time browsing through. Ensuring that our customers get the best quality, we produce and grow our plants in the nursery with our choice of soil, nutrition and fertilisers. This is why the sunlight plants we sell are the best outdoor plants near Newcastle upon Tyne. The most popular garden plants among garden owners of Newcastle upon Tyne are flowering plants. Whether it is time to follow your routine and find your garden new annuals near Newcastle upon Tyne, add a section into the garden with all the bulbs near Newcastle upon Tyne that you can lay your hands on, or creating an instant garden with grown trees filling the background of your flowerbeds, we have all that you want and everything in between. Our customers from the city are also often looking for fruit and vegetables. Grow-your-own is a specialty for some British gardeners; they really love growing their edibles in their own garden. From grown trees and growing plants to seeds and geophytes ready to go under your soil, you can find all kinds of edible plants available in our stock. Speaking of grown trees, some gardeners from the city want to get trees and give their garden a major facelift. Trees give your garden a seasoned look down to the subtle impressions of a forest, such as debris, wildlife, and shade. For them, we keep a wide variety of trees and shrubs always available in our inventory. Whether you are looking for fruit, flowers, or colour for winter, we have every kind of tree and shrub that you can grow in your home garden. We also like to help our quirky gardeners from the city. So, we keep a large stock of various herbs in our garden centre. All of these herbs come with unique qualities that help with skincare and health problems in a number of ways. We also grow unusual herbs on special requests. Cowell’s Garden Centre takes pride in delivering the best outdoor plants to our customers. We have this confidence due to our experience of decades and the fact that we grow our plants in the nursery ourselves. The seeds and roots we use come from previous crops treated the same way. We use high-quality topsoil and compost with first-class irrigation. We use naturally nutritious feeds managed carefully by experts. Thus, the plants we grow look more fresh and alive, and give more fruit and flower, than any plants you will get from any other growers in the country. This is what makes our outdoor plants near Newcastle upon Tyne the best money can buy. Our plants grow fast and firm, exceeding the expectations of their growers and give us loyal customers all around the year. The people in our sales team are also passionate gardeners with varying interests. They love the hobby and the job, always willing to help confused customers with choosing the right products, tools and accessories, and are always keen on advising starting out gardeners. When you visit our nursery, make sure you take help from them and save a significant amount of time and money during your trip.